Rippon shined for the U.S. in the men's skate portion of the teams competition Sunday. 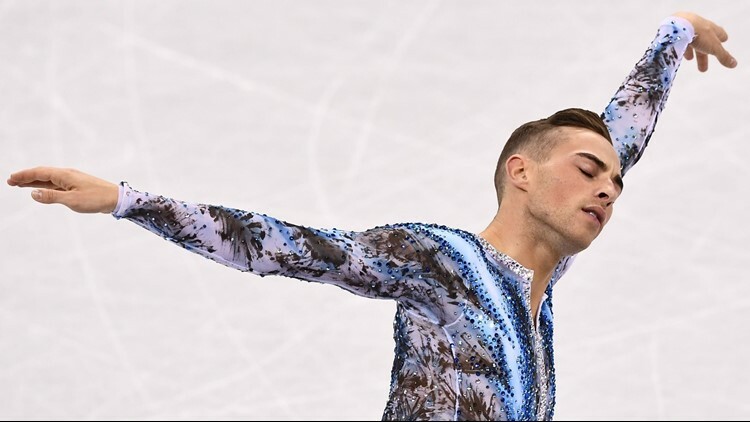 Adam Rippon didn’t know how much he spends on his flamboyant wardrobe, filled with unapologetically gaudy shirts, jackets and handbags. It was mid-January in Los Angeles, still three weeks before his Olympic coming out party Monday, when the 28-year-old took to the Pyeongchang ice in a spectacularly shimmering costume tinged with electric blue and the American public started to fall head over heels in love with him. It’s just beginning. They’ll love him because he is fun and fearless and also an incorrigible flirt. He flirts with everyone and everything but in the sweetest and least threatening sense of the word, not with intention but with smiles and playfulness and outrageous humor. He is a gay man but he flirts with men and women and graying reporters; he flirts with the camera and the crowd and the ice and the judges. And, baby, he’s ready to flirt with the Olympics. “Am I prepared for people to fall in love with me?” Rippon asked, with mischief, as he slid into his bedroom to show off that collection of fashion accoutrements that he wishes to avoid thinking about the cost of. He was ready Monday all right, coming off the bench to shine for the United States in the men’s skate portion of the teams competition. The Americans needed to hold off Italy to put a stranglehold on bronze and Rippon got the job done. His performance was as clean as the shimmering Korean ice, his smile beaming with satisfaction and a tiny tear of emotion at the end of a job beautifully done. Rippon loves his clothes but he’s no show pony. This was an outstanding Olympic debut, full of poise and panache. His score of 172.98 achieved the critical aim of besting Italy’s Matteo Rizzo and making himself believe that he belonged on this stage. He does — and he loves it. Since coming out with his sexuality in 2015 Rippon loves life and countless things about it. He loves the new sense of mental freedom that openness brought and adores the fact that he’s finally heading to the Games at a ripe old age for a skater after disappointments in the previous two cycles. He likes to tease and to mildly shock and he knows exactly how to get people to warm to him, whether up close or through a television set. 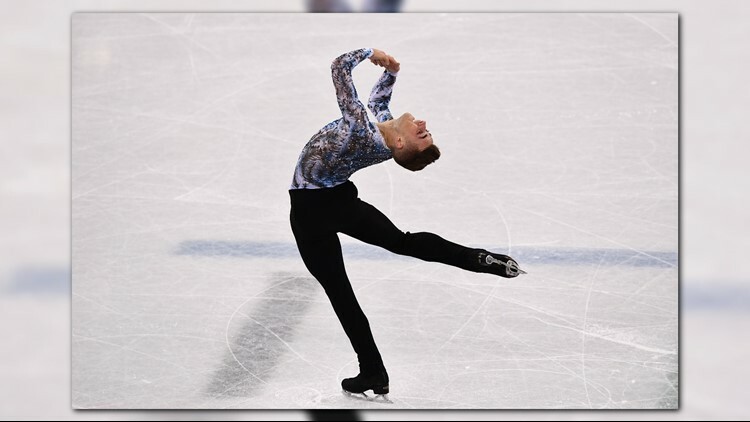 He is also a darned good skater, good enough to have placed fifth in the Grand Prix finals, but not at the same level at Nathan Chen, the U.S.’ gold medal favorite. Yet Rippon has personality and style in spades and enough panache that a glittering future on television may beckon if he wants it. And, baby, he wants it. A figure skater’s popularity and marketability is dictated by forces for which there is no simple equation but can be best highlighted by the following two questions. 1) Do you know who Johnny Weir is? 2) Quick, without racking your brain or checking your phone, who won the Olympic gold medal at Vancouver in 2010? The answer to the second part is Evan Lysacek, an American, who skated clean but didn’t get a fraction of the subsequent publicity afforded to Weir, who placed sixth, spoke his mind, dressed like a provocateur and landed a book deal, a TV show and an NBC contract. Weir is entertaining, sometimes with comments so caustic they’re like a guilty pleasure. Rippon is cheerier, more fresh and optimistic. Rippon has become an important advocate for LGBTQ rights, first revealing his displeasure that Vice President Pence would be coming to Pyeongchang then rebuffing an offer from Pence for a discussion. Aside from such issues, he has no problem making light of himself and his quirkiness. He calls fashion his “sickness,” but has no desire to be cured from it. He bought a handbag from a thrift store and felt great about it, but liked it so much that he ended up buying the same thing in another color for the full $2,200 retail price. He laughs at how the bag is so expensive it needs its own bag, actually a delicate cloth sack, to keep it in. He has a designer fanny pack but wears it over his shoulder. Rippon is a free spirit but that belies the work and effort he has put into getting to world level. He moved away from his home of Scranton, Pa., to pursue his career, then missed out on the 2010 Games by two spots and the 2014 version through an untimely injury. In the individual competition he is not among the favorites because he doesn’t have a quad jump – Chen has five of them in his long program – but he’s good enough to get close to the mix if he keeps his head and many others flounder. The outcome, who knows? Getting the public’s love, though? Baby, that one’s in the bag.